Session 208. This summer has certainly delivered some great winds. A cracking sea breeze came in this afternoon so I headed for Hampton. 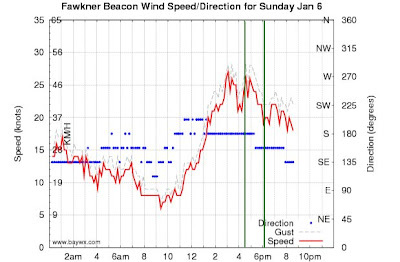 I took out my Lithium 12 in the 20+ knots as I want to get used to flying it in stronger winds, and it has a lot of power. I de-powered the kite for most of the session and it was fine. I last used my twin tip board 27 sessions ago (at Inverloch). 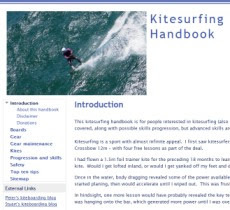 I was keen for a new (old) kitesurfing experience after all the training and distance kiting. It was interesting to ride the twin tip again. 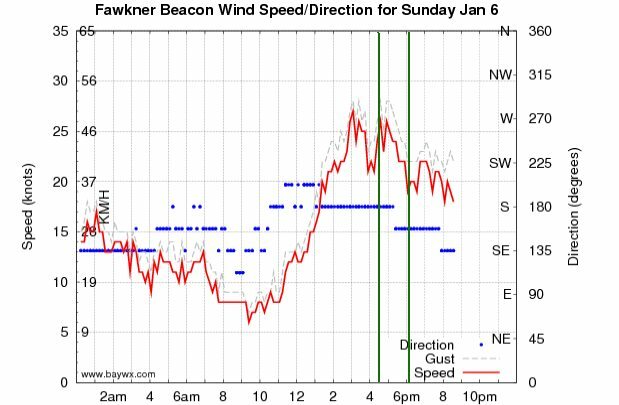 I had to concentrate on edging it - I am now used to having good fins for upwind traction, so I found the twin tip skipping away down wind a bit. It was good fun boosting off some waves though. I did some nice jumps during this session, and one that resulted in a hard landing (kite headed back the wrong way). I did a couple of reasonable jump transitions - the key is to fly the kite fast when you land to get going again. Speed runs in towards the seawall were nice. I lost my board after a jump and was having some difficulty body dragging upwind. It was upside down and going nowhere - compared to the surboard and Sector 60 which both tend to get blown downwind quickly and are easy to retrieve. Rick assisting by moving my board in a bit. Thanks buddy! I was able to return the favour a short while later. I noticed using different muscle groups - more torso work and less leg work. At various times there were about a dozen other kiters out, including some guys doing nice wakestyle moves towards the end of the session. However, Rick said someone crashed a kite onto a family on the beach - definitely not cool - and a kite crashed and nearly took me out when I was on a tack. It just brushed me. Other than than - it was great to have a different session. I took a few pictures after the session.